Laser tag is the rock and roll, premier attraction for fun centers of all sizes, demographics and markets. 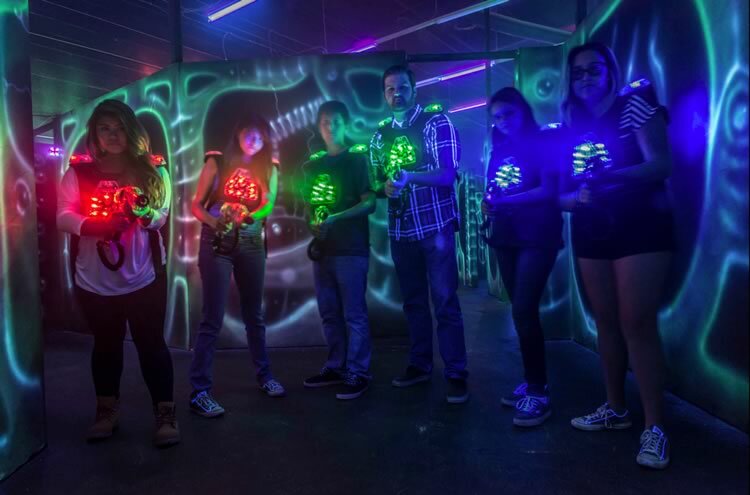 With ever increasing appeal and popularity, lasertag has become the anchor attraction that savy amusement operators turn to, to drive traffic and repeat sales 7 days a week. Whether you offer indoor or outdoor laser tag, there are a few key strategies with lasertag arena design and laser tag equipment that will ensure your new attraction is set to provide you the operator, with a long term return on your investment, and a hyper-fun, exciting experience for your guests. S.M.A.R.T. Laser Tag is about multiplying the fun, functionality and the profitability of your laser tag system by incorporating that system into a strategic arena maze. Rather than just a bunch of barriers, the arena comes alive and offers full control and interactivity to your players. S.M.A.R.T. Laser Tag - For Who? Using a S.M.A.R.T. Laser Tag system enables you to offer one system for every type of player. From the high traffic weekend party games and solo play to weekday member and league players, as well as corporate games and team building. Forget everything you know about old school laser tag. S.M.A.R.T. Laser Tag is the evolution of gameplay within a truely interactive gaming environment. Custom party games, interactive missions with evolving storylines. * Charge a premium price for unique parties unavailable anywhere else. * Dramatically increase your center's revenue mid-week with parties, groups, exclusive member games and edutainment. * Sell memberships, add-ons, in-game tactical data, mission intelligence and upgrades as player resources.